This month, Panda presents Teknian in the mix. This 17-year old Swedish dubstep producer started out writing drum and bass music when he was 12 years old, later switching to dubstep when he encountered his first dubstep tune 'Africa' by the Others. Since then a lot happened as Teknian has received play support from names such as KOAN Sound, Culprate, Inspector Dubplate and Asa. 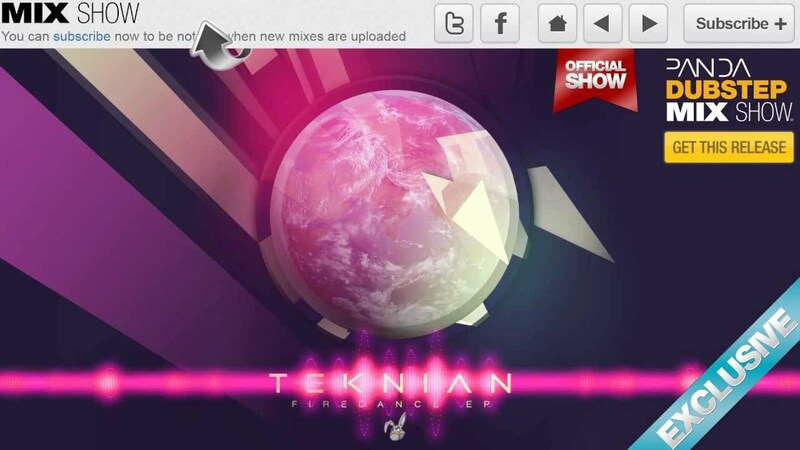 In this mix, Teknian brings you a selection of his and Screwloose latest tracks and remixes in an exclusive mix! Leave your appreciation for him in the comments! Also don't forget to rate it (even if you hate it) and subscribe if you haven't done so yet. I'm almost at 40,000 subscribers which of course pales in comparison to my D&B channel at 90,000, does the dubstep massive keep it that way? Go subscribe and make it big!